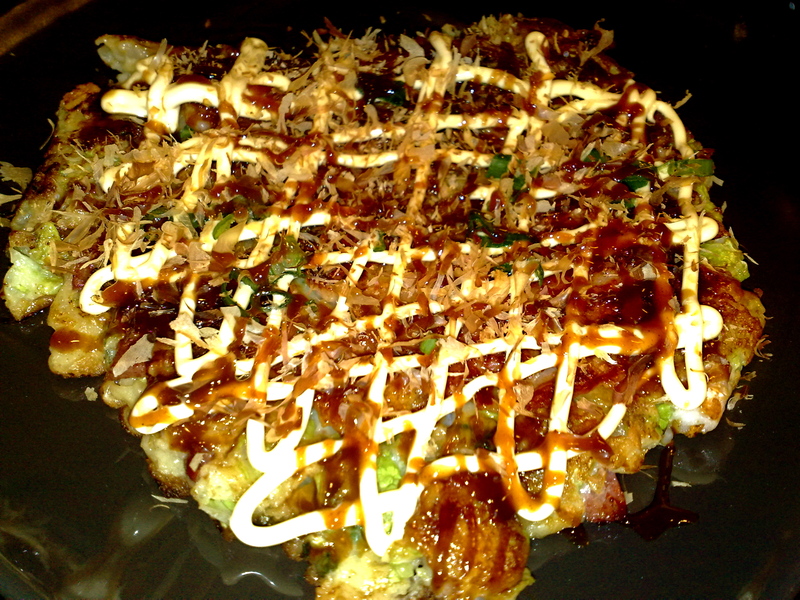 Janet started all this with this post on okonomiyaki. You can add whatever you like (OKONOMI) ! 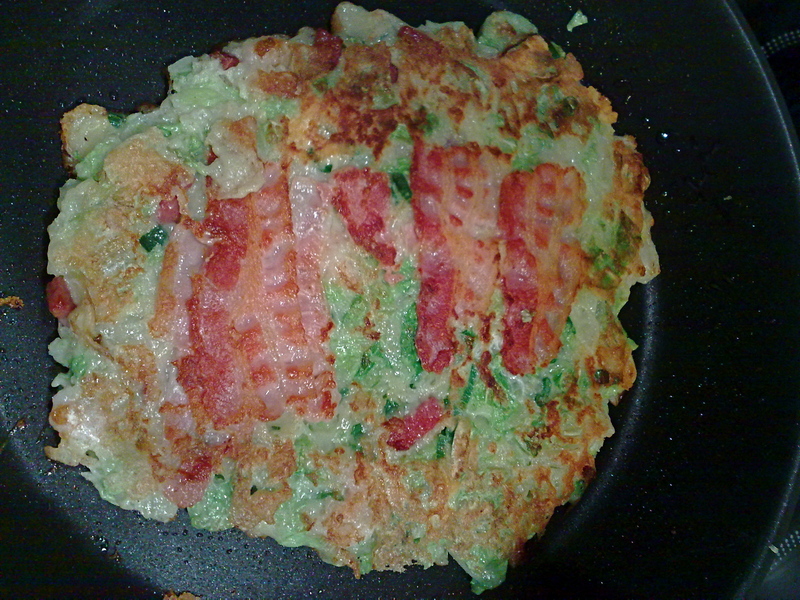 Lay bacon on one side and flip it over. 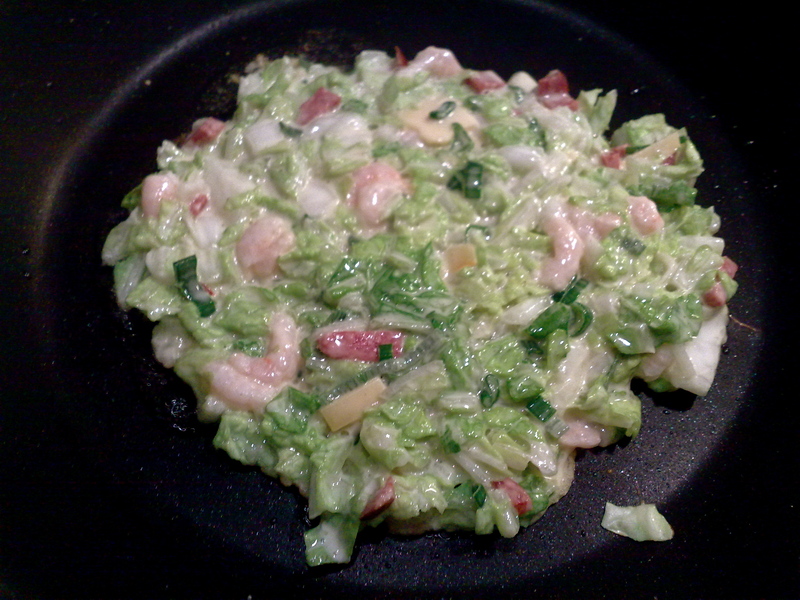 I went grand with the last okonomiyaki I made: bacon, crisped sausages, shrimp, and a whole egg! 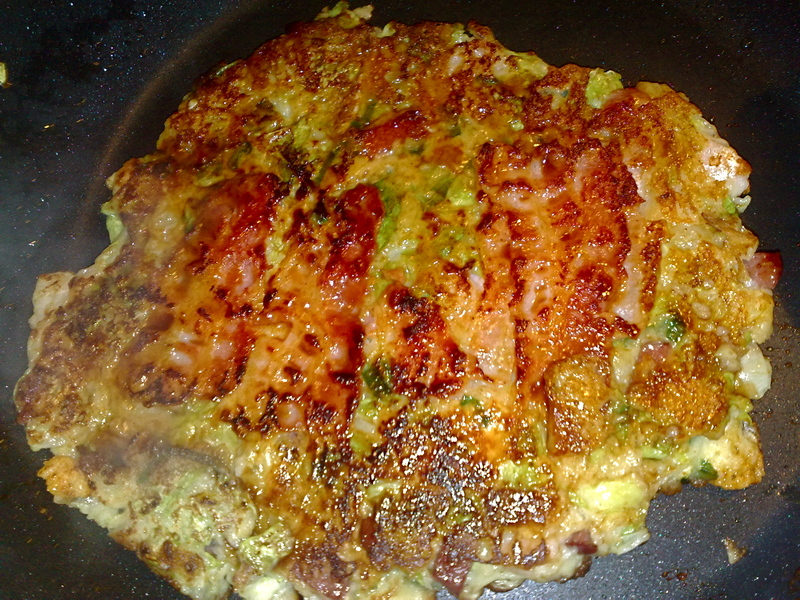 Spreading the tangy-sweet okonomi sauce browns it quickly. Wow. 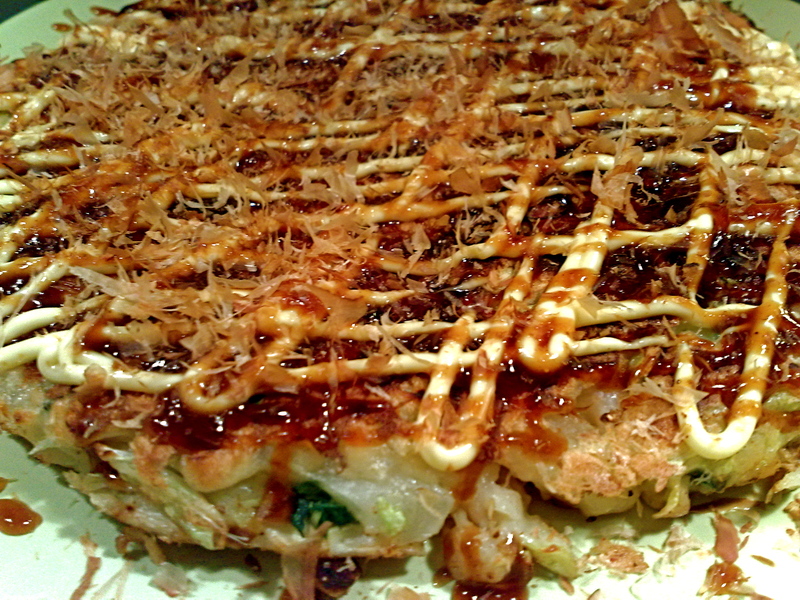 What does okonomiyaki mean? That’s easy to use the ready flour. I once did from scratch and that’s quite a lot of work to grate the yam. Yours look very delicious. I have to look for that flour. Hi Mary! Glad you dropped by again 🙂 About the okonomiyaki flour, I feel bad that I didn’t ask Janet to get me some too. 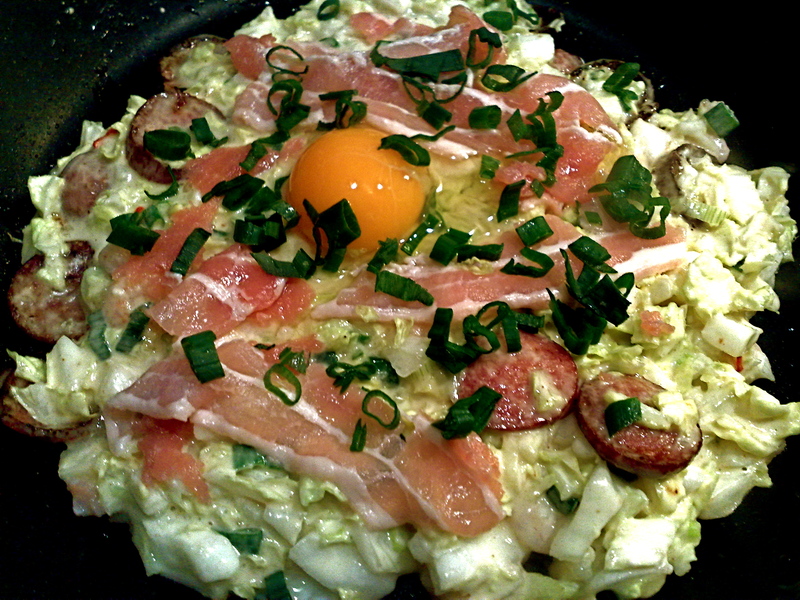 Now I’m really envious of David’s okonomiyaki.